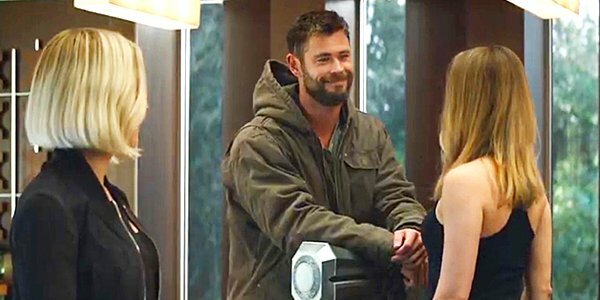 Do you think Avengers: Endgame needs another trailer? Marvel Studios Digital Marketing VP Dustin Sandoval is asking. The trailer we just got last week was billed as the final full trailer, which doesn’t mean we won’t get more footage in TV spots or other sneak peeks. But it’s interesting that the digital marketing exec just put the trailer question to fans anyway. The responses are also pretty telling. As you can see, most — but not all — of the replies agree that Avengers: Endgame does NOT need another trailer. Remember just a few months ago, when fans were losing their minds asking for the first Avengers 4 trailer? Now they don’t want more. Good times. Star Wars fans, you’re next for that ride. We absolutely don’t need another Avengers: Endgame trailer or any other new footage in a TV spot, sneak peek, behind-the-scenes footage, toys, magazines, interviews, etc. But if you give any of that to me I am going to drink it down and want more. Don’t enable me. Even with all we know so far about Avengers: Endgame, there are still so many questions. It’s probable the movie will still leave us with plenty of questions, since it’s meant to change the game for the MCU, but not end the MCU. This universe is continuing onward with no plans for its own endgame. Avengers: Endgame opens in theaters Friday, April 26, as one of the many movies opening on the big screen in 2019.